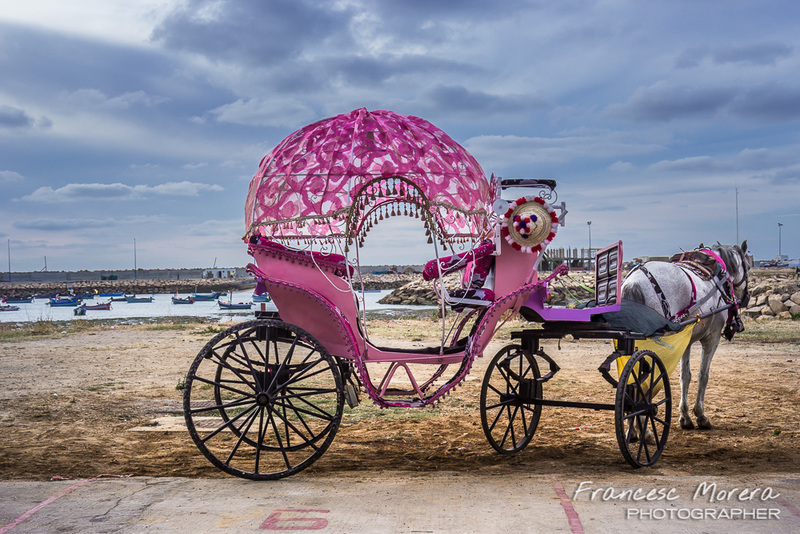 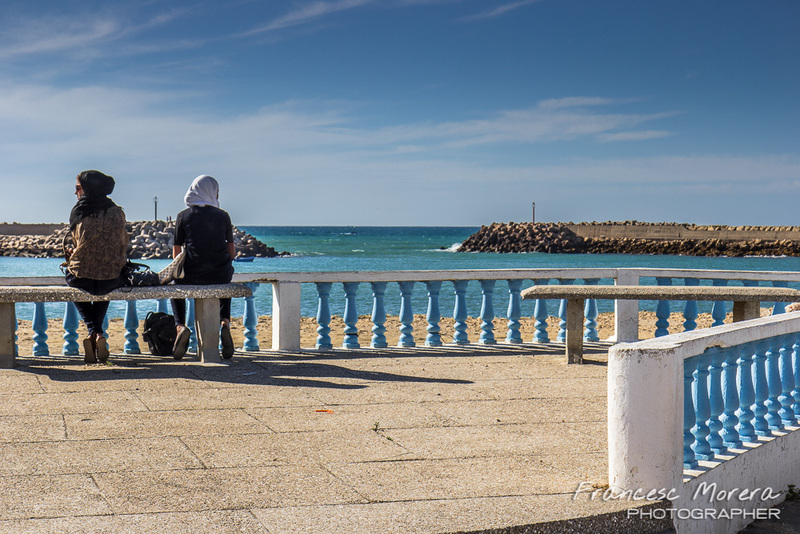 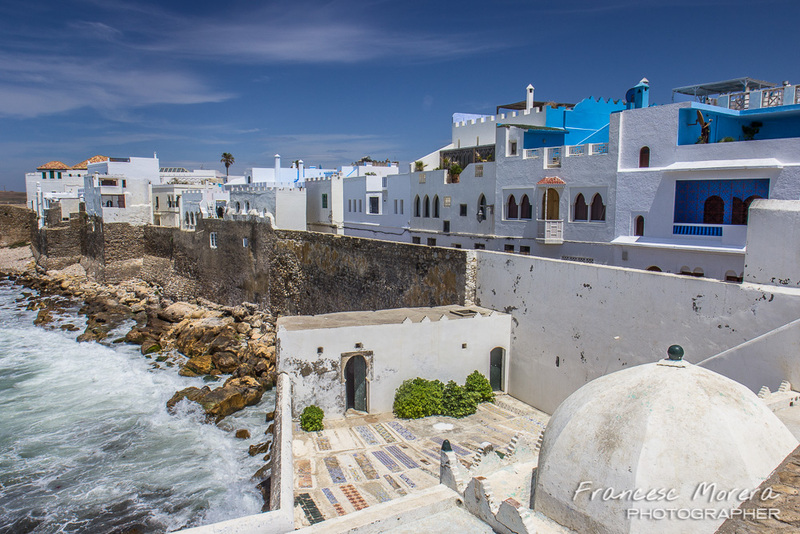 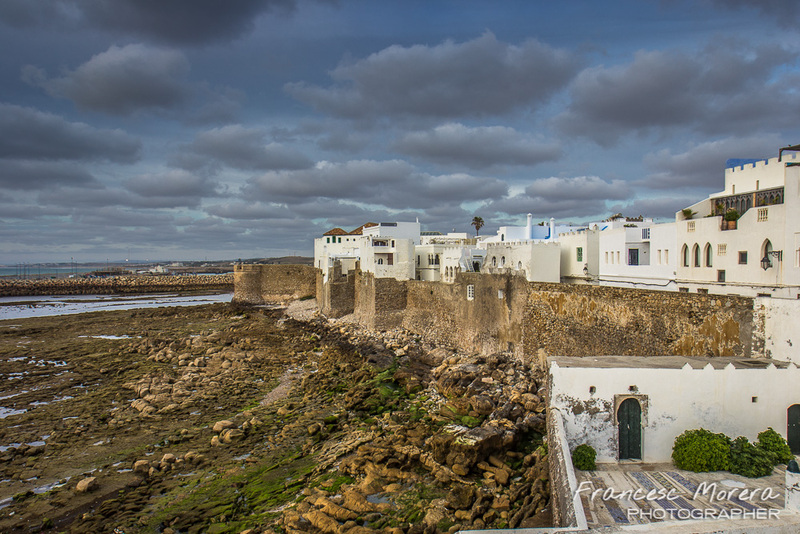 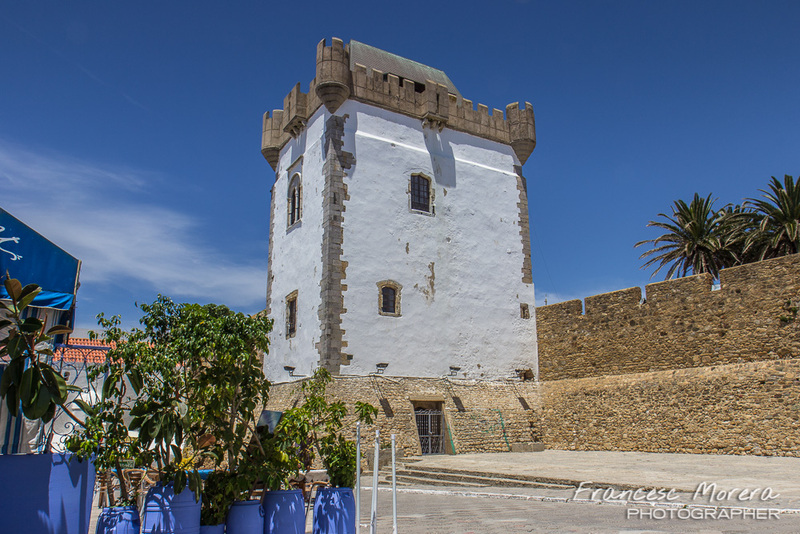 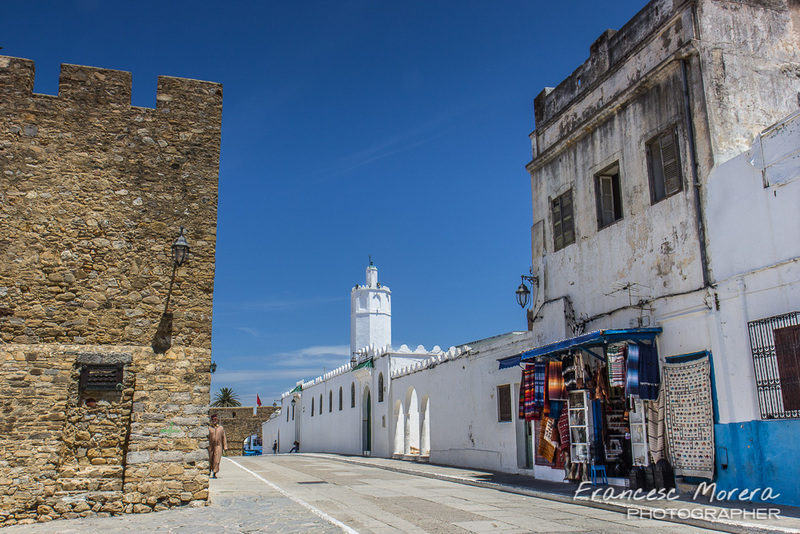 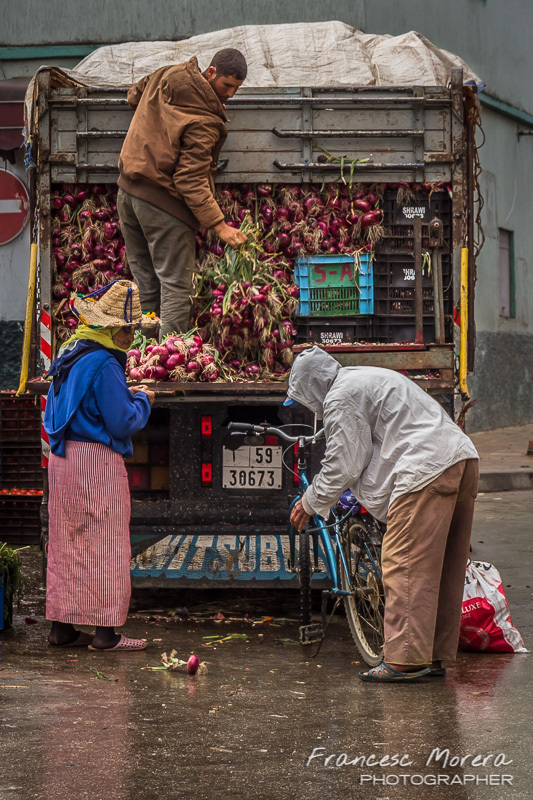 Assilah is a small fishing village located on the Atlantic coast of Morocco, about fifty kilometers southwest of Tangier, and surrounded by miles of paradisiacal white sand beaches, with dunes, vegetation and scarce human presence. 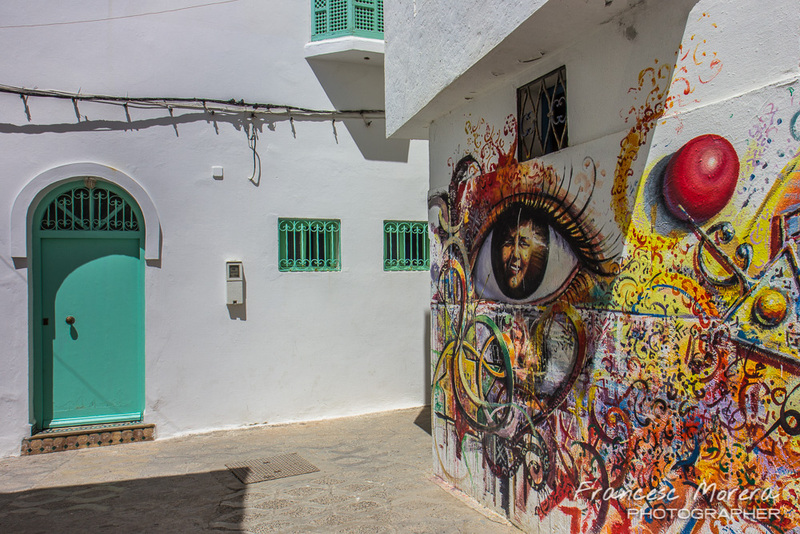 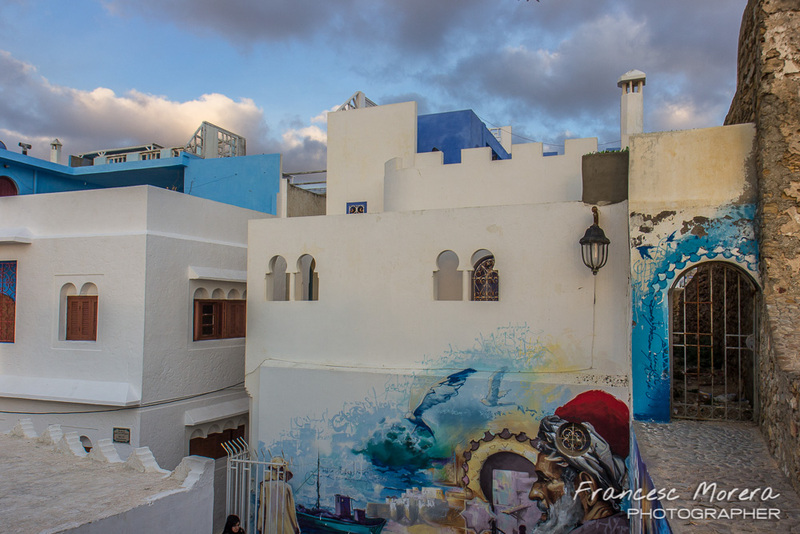 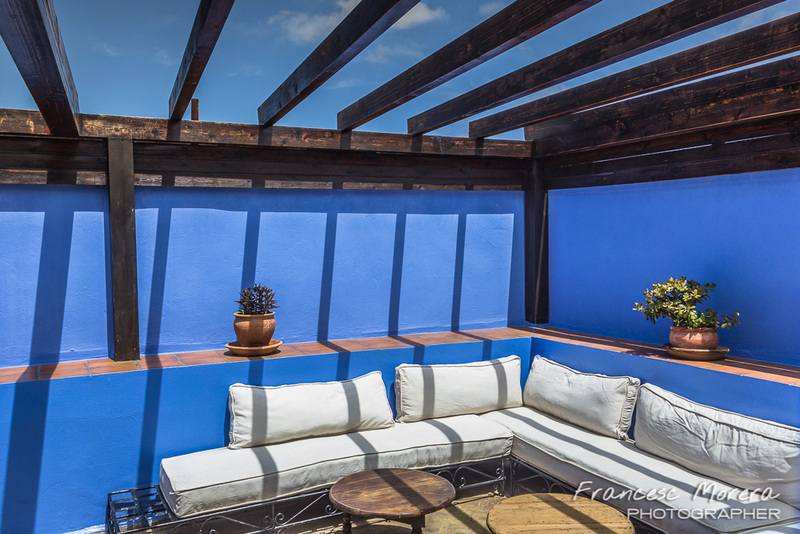 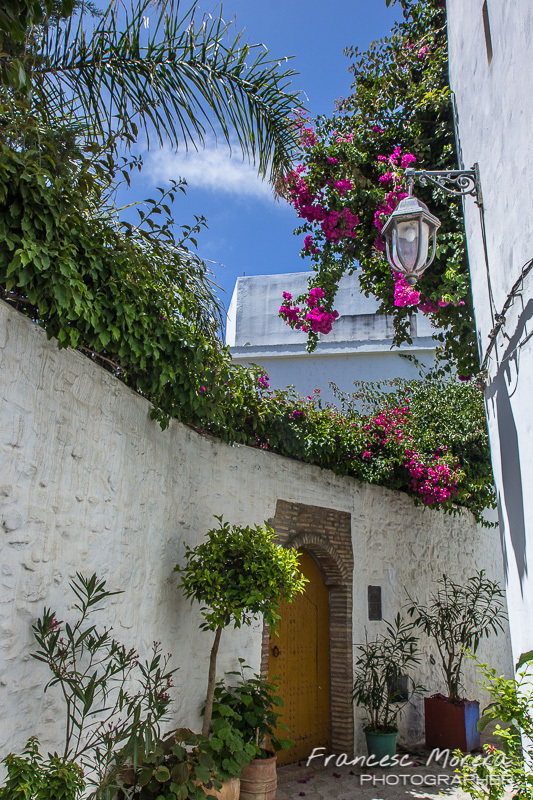 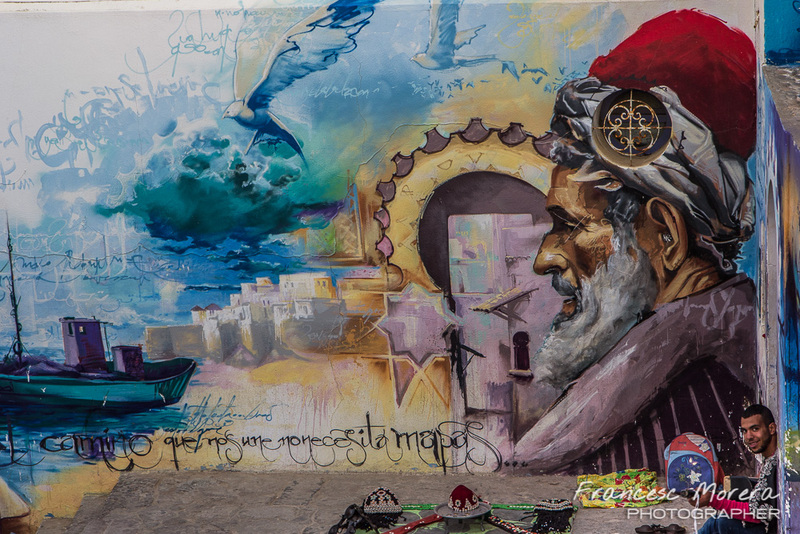 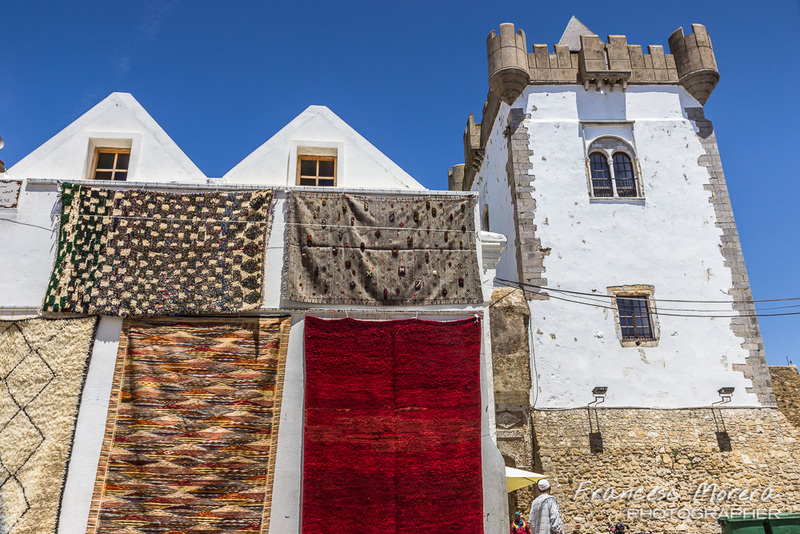 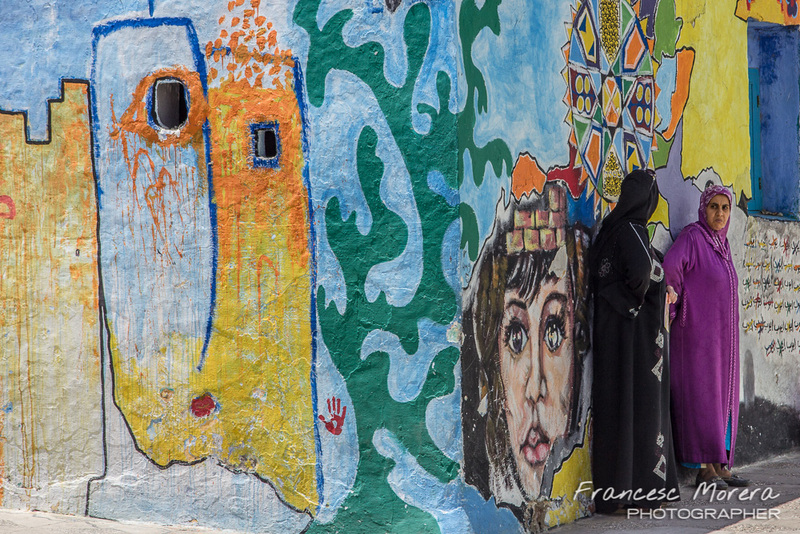 It is perfect for relaxing, pleasant, cozy and somewhat bohemian bright and picturesque town, where many artists who changed their hometowns for the narrow streets of the medina have left their mark on their walls. 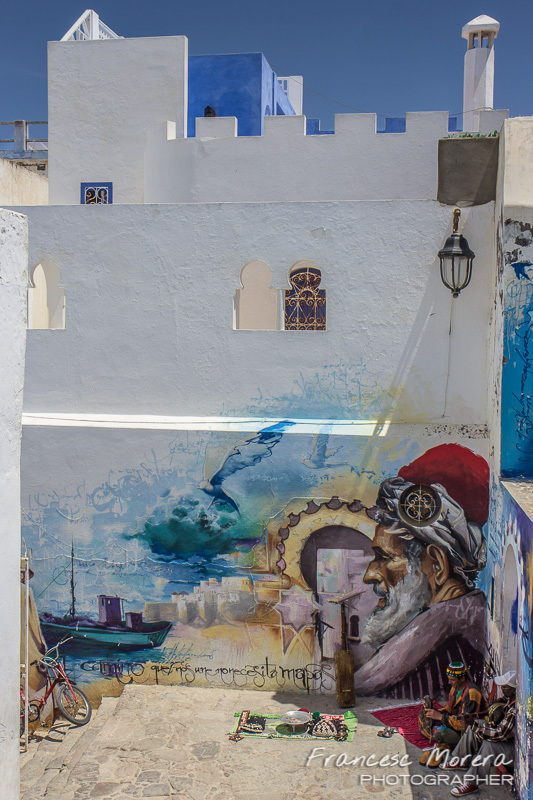 Those paintings are renewed every year in summer during the Cultural Festival of Assilah. 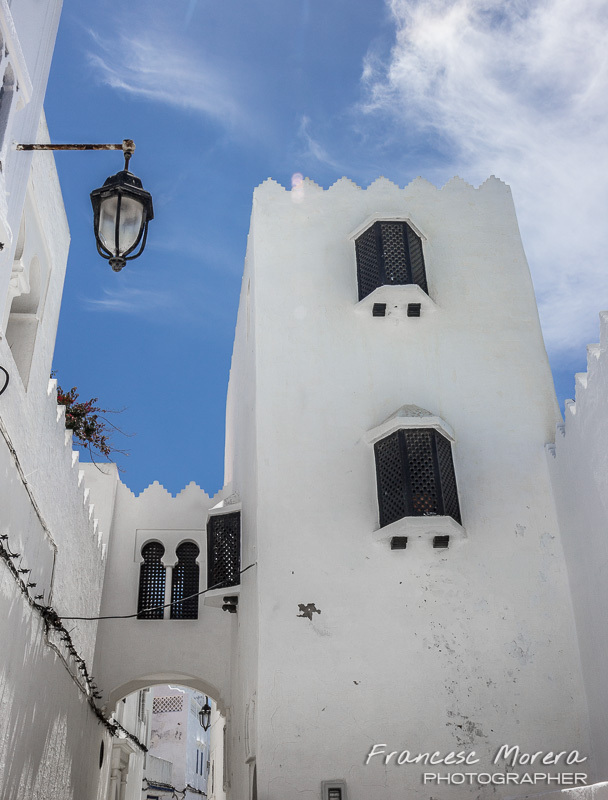 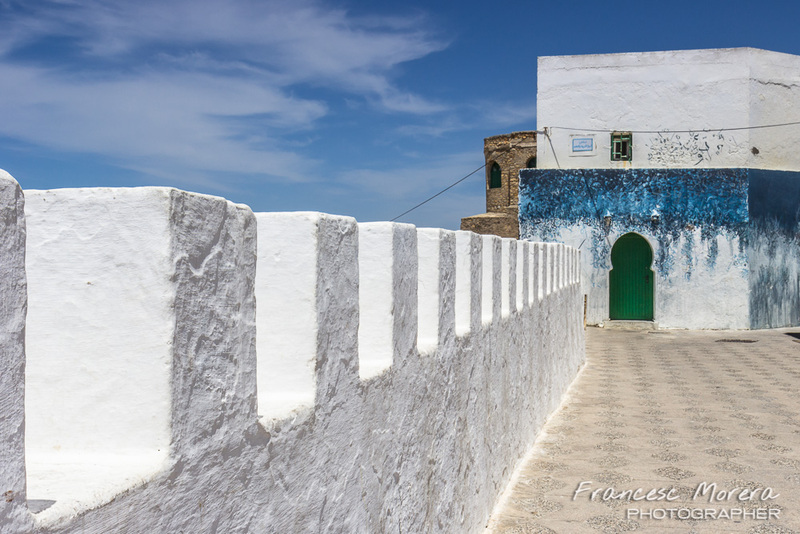 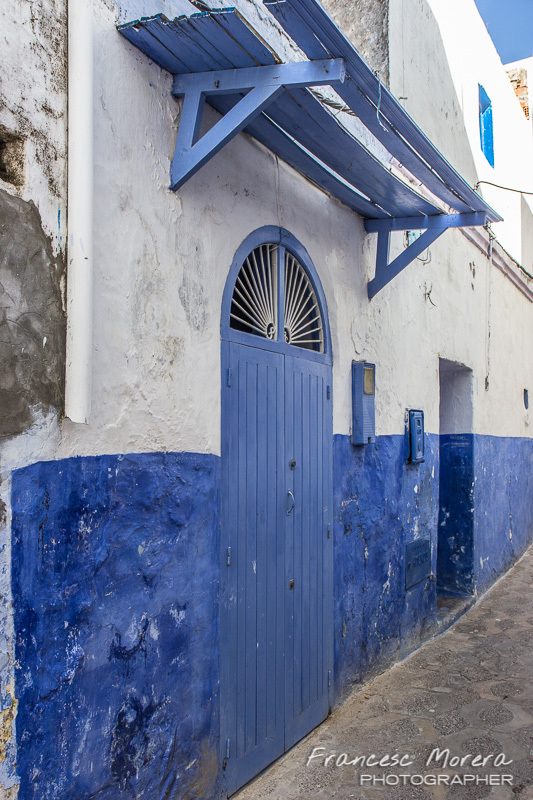 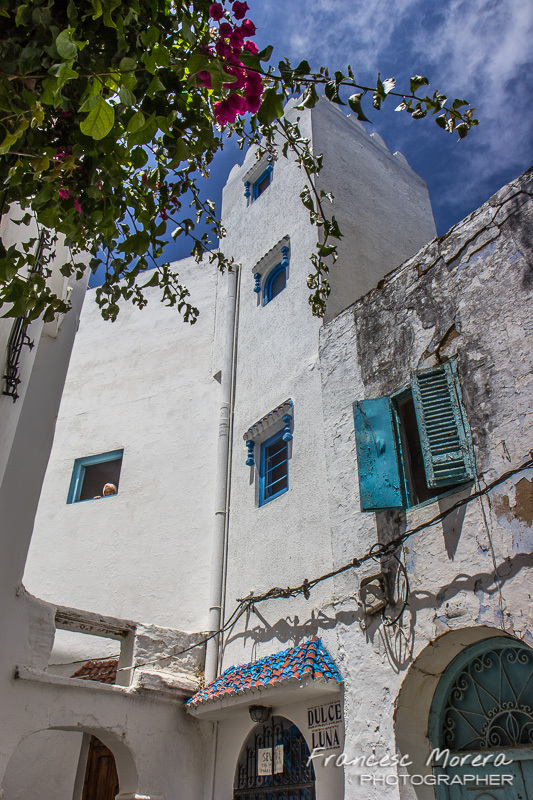 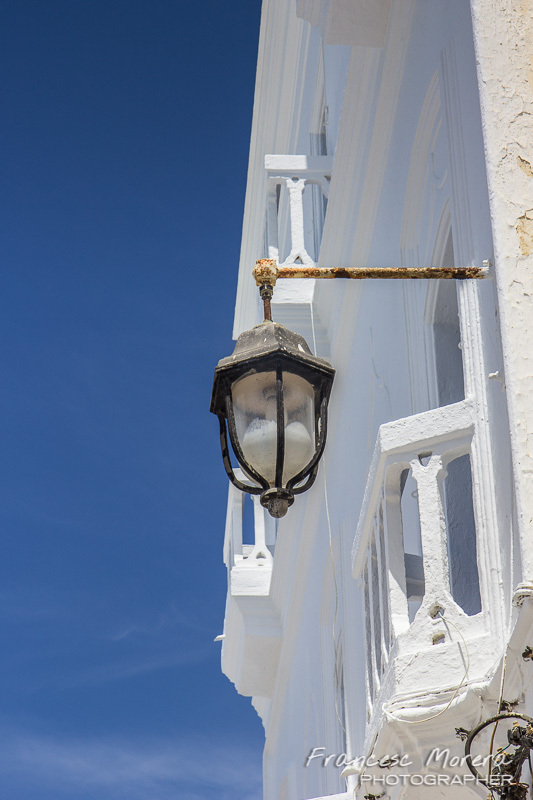 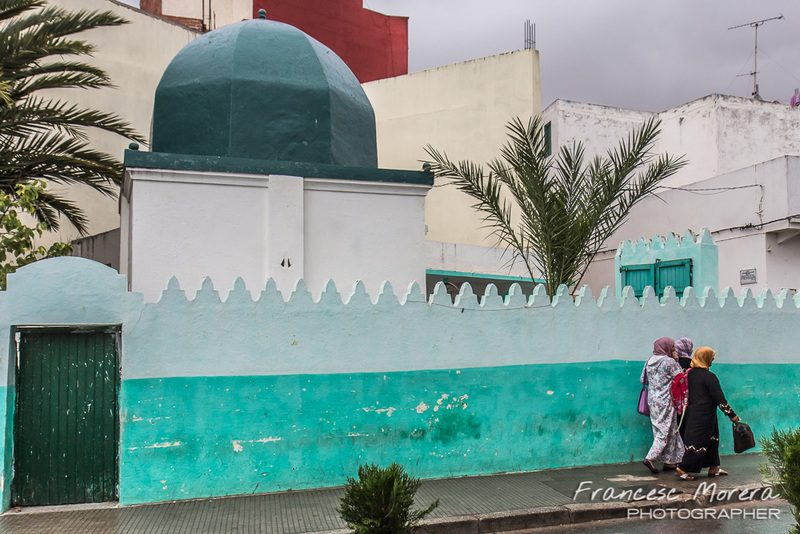 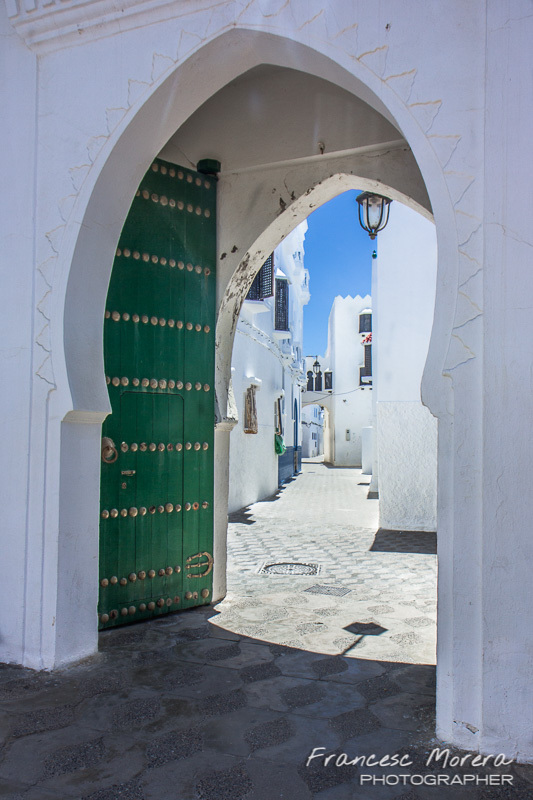 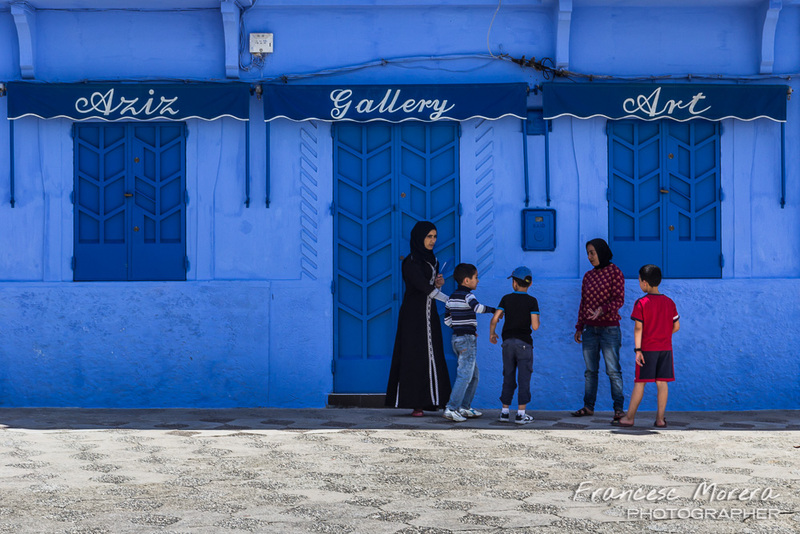 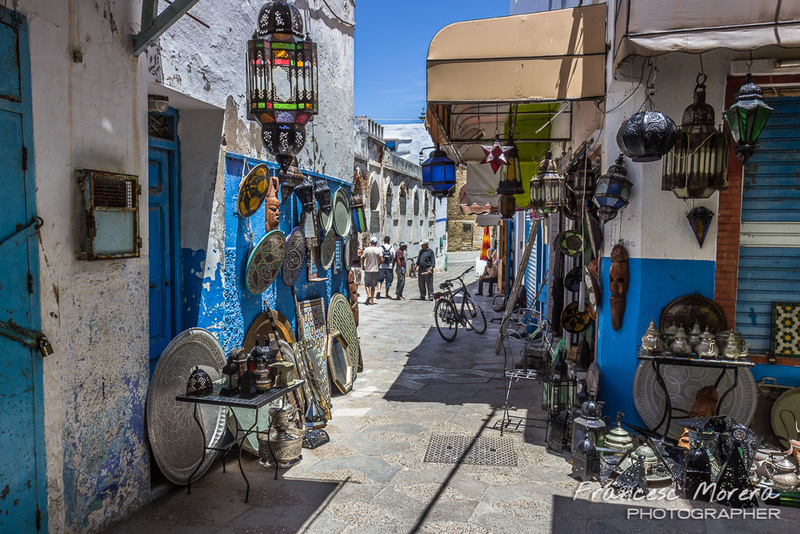 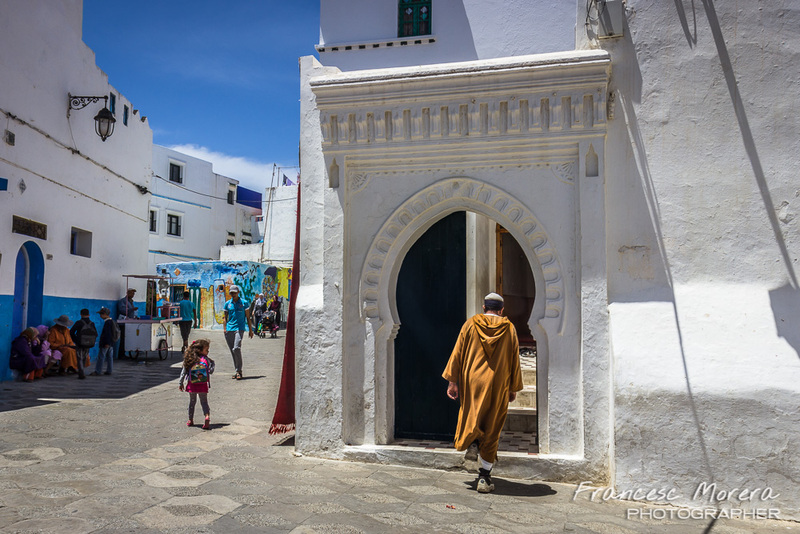 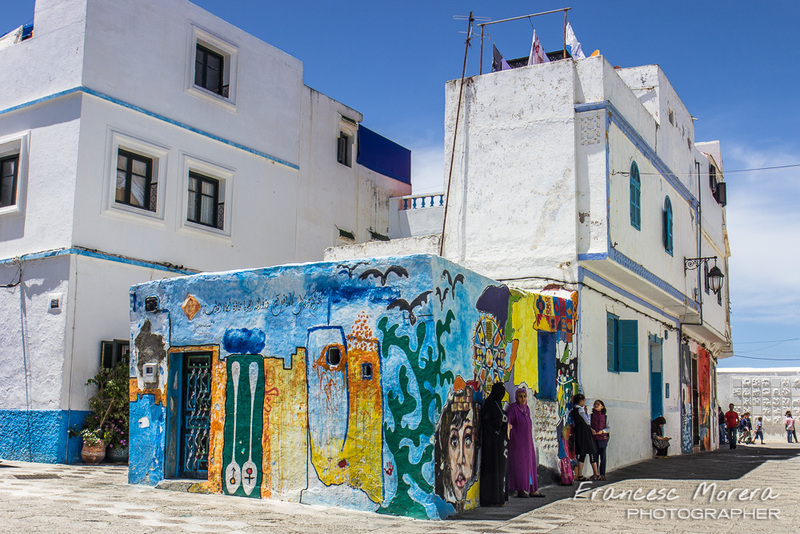 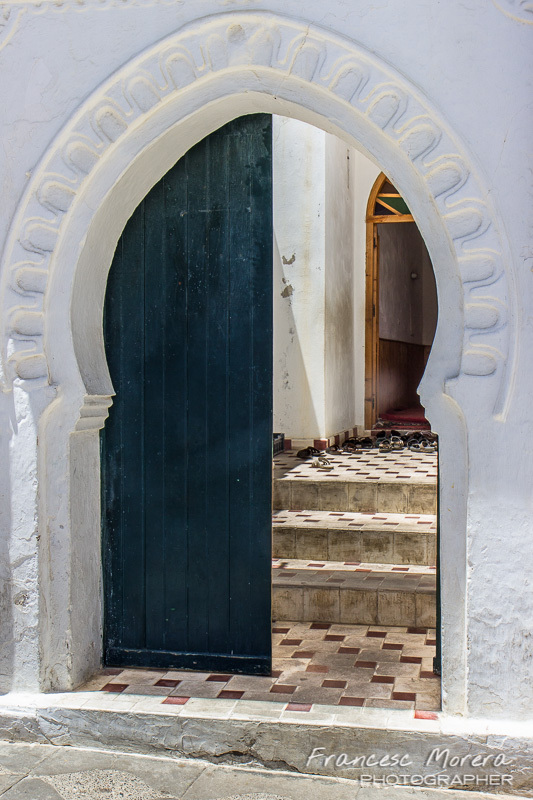 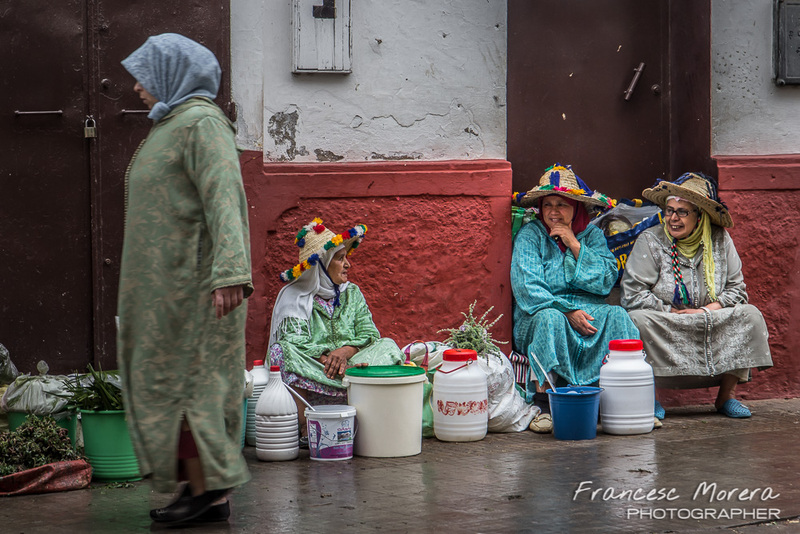 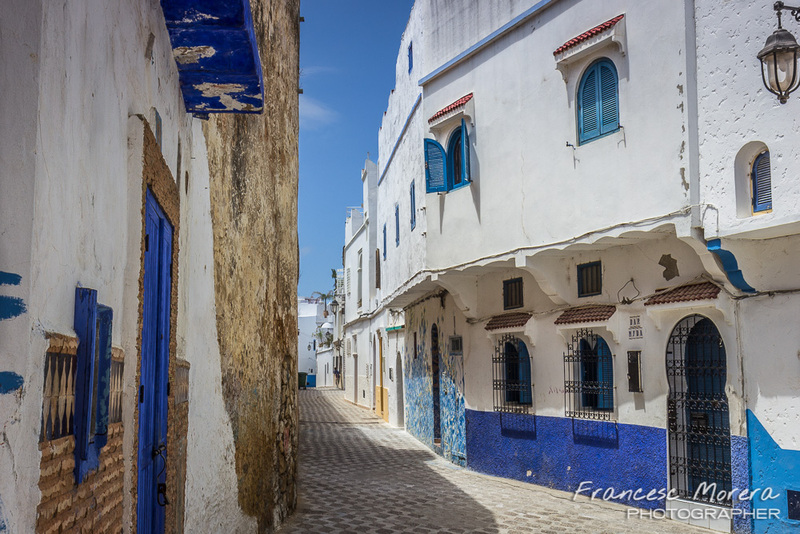 Its small and well-kept Medina, in white and blue, is considered to be the cleanest and most cared for in Morocco. 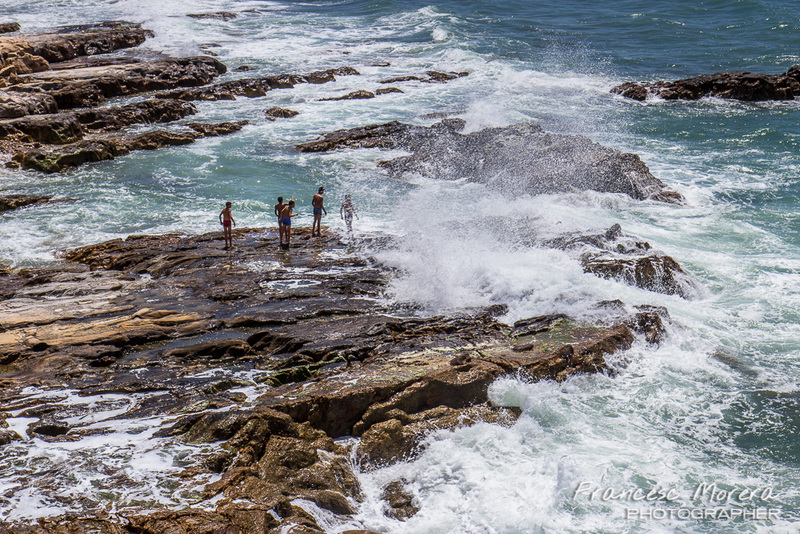 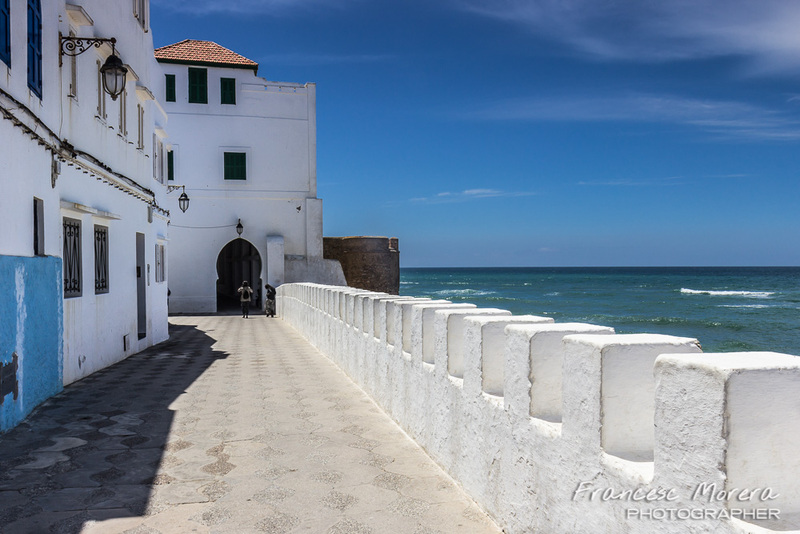 It is surrounded by well preserved defensive walls, built by Alfonso V of Portugal in the fifteenth century, on which the ocean breaks with fury. 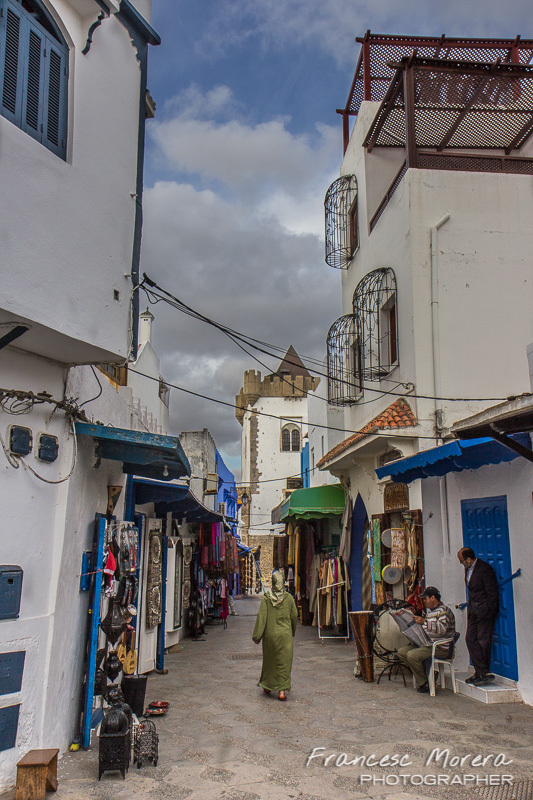 The Portuguese transformed the city into a commercial center dedicated to trade on the Saharan gold route. 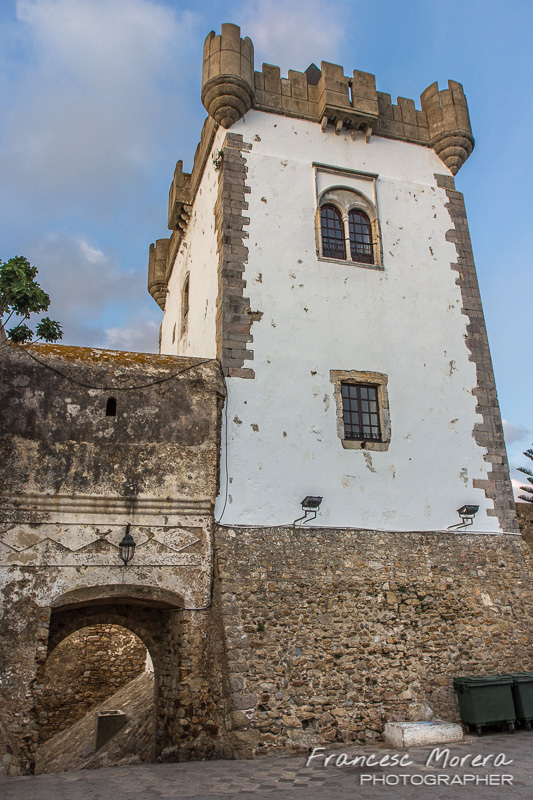 At the end of the 16th century, the city was recovered by the Saadí dynasty and integrated into its territories, to be conquered briefly by the Spaniards in the last third of the 17th century. 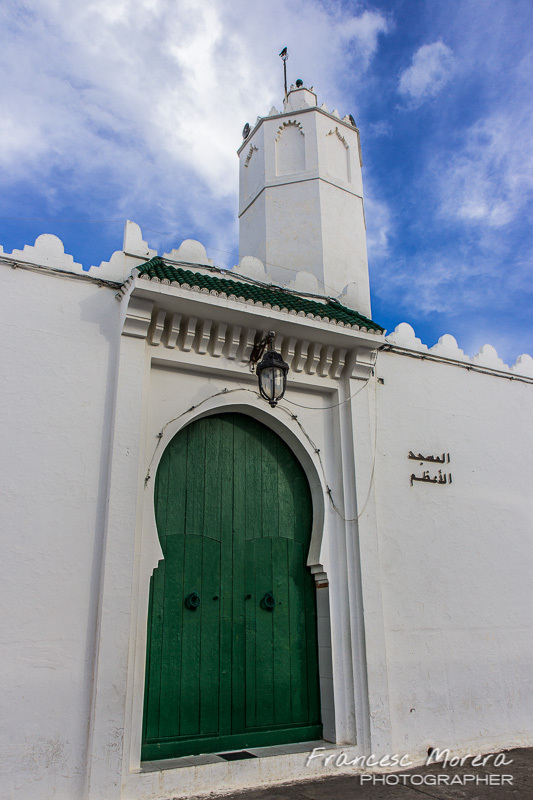 Finally, it was recovered by Muley Ismail in 1691. 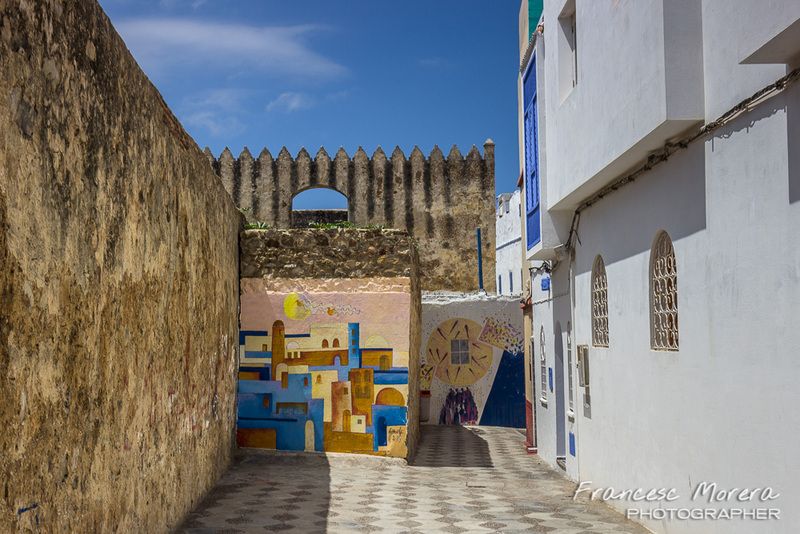 The Medina that we know today is from this time, since it was completely rebuilt after the expulsion of the Spaniards. 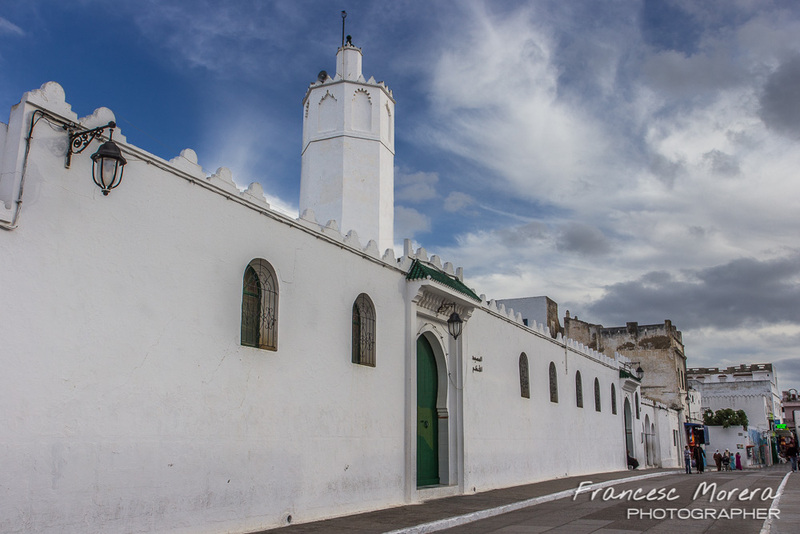 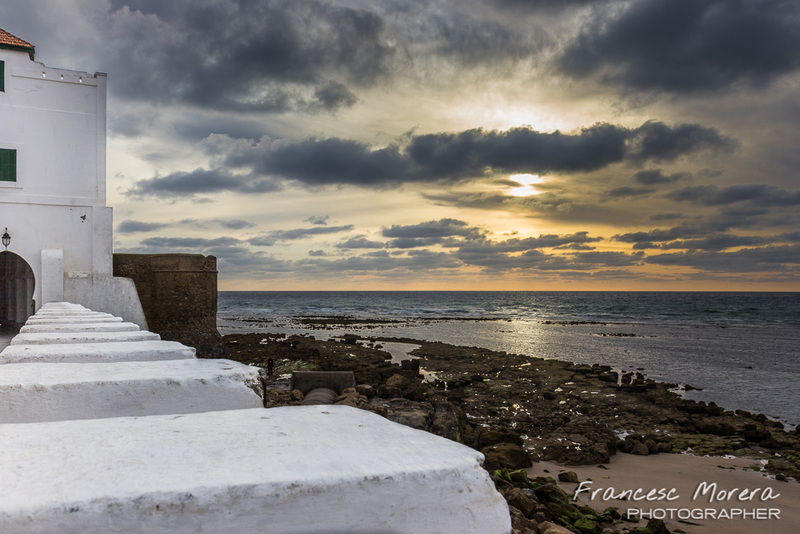 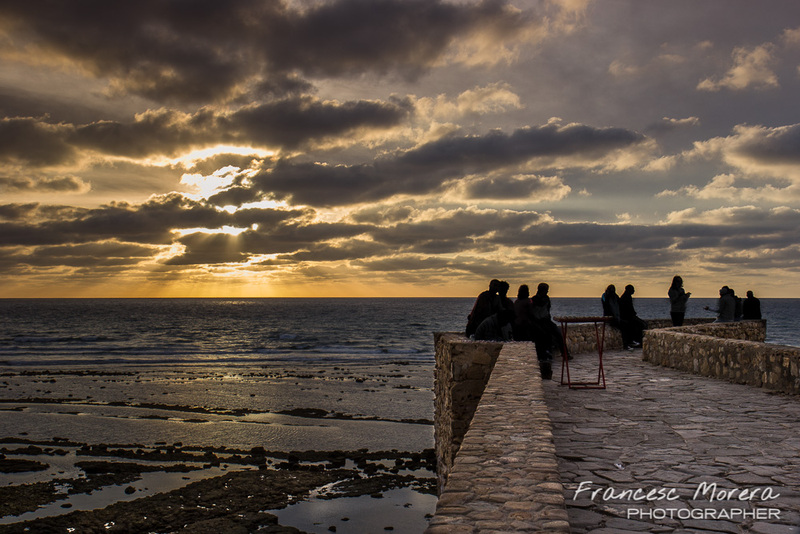 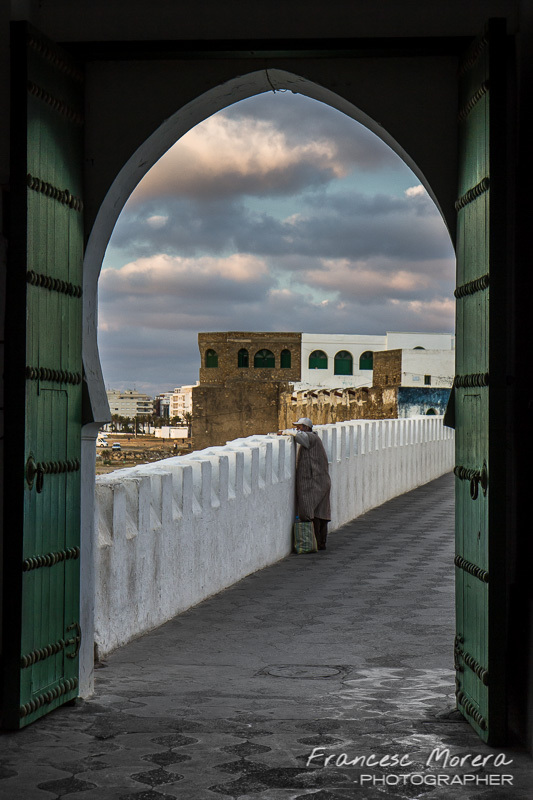 It is usual to sit and wait for the sunset at the Karakia Viewpoint where, at its feet and by the sea, we can see the marabout of Sidi Ahmed Al Mansour, a tiny cemetery with a score of tombs covered with enameled ceramics. 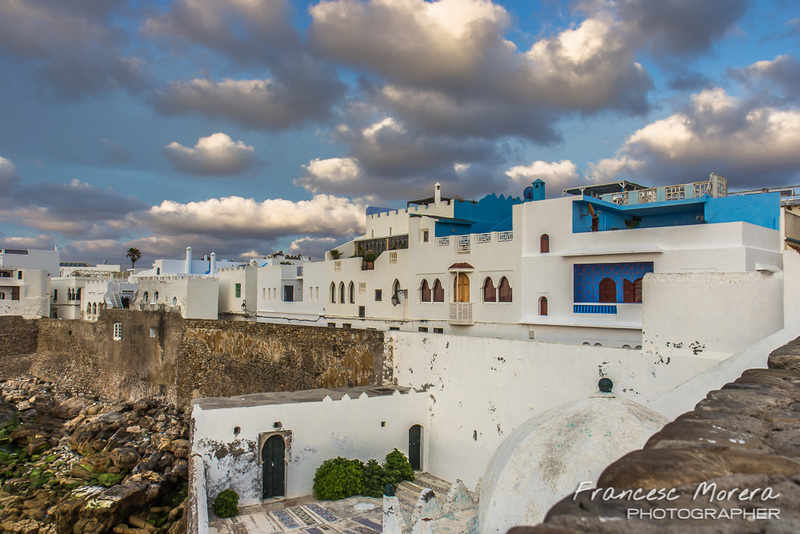 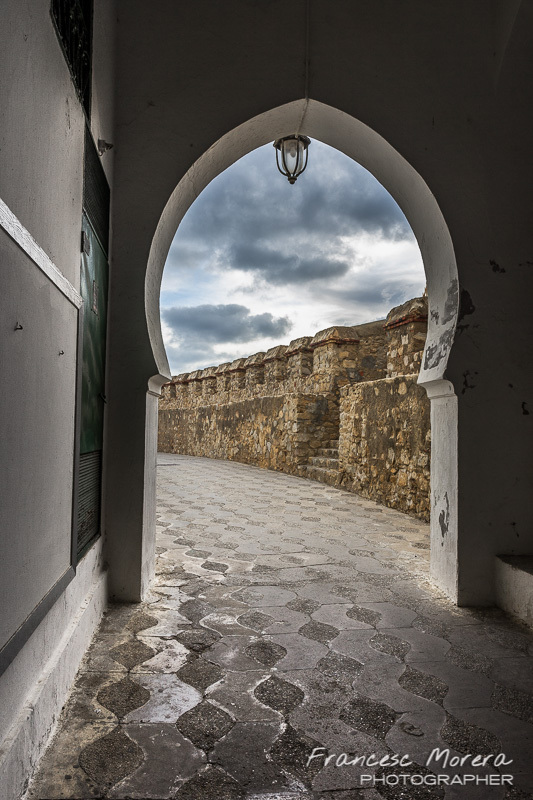 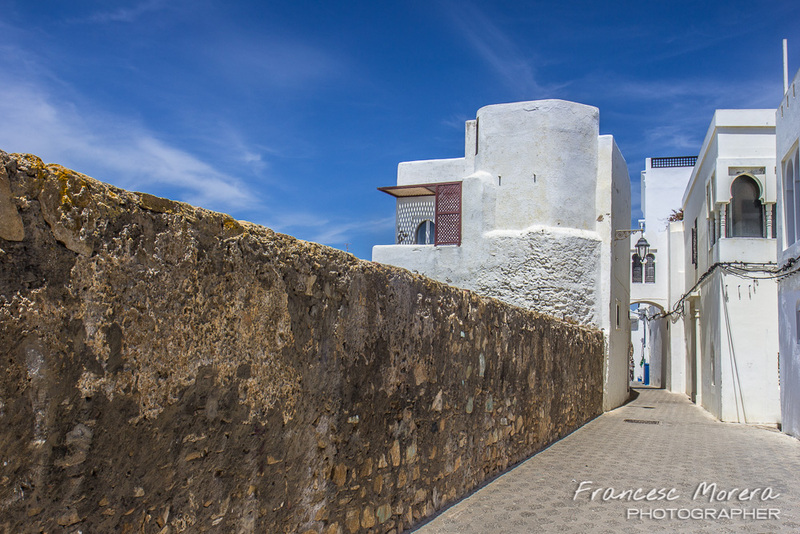 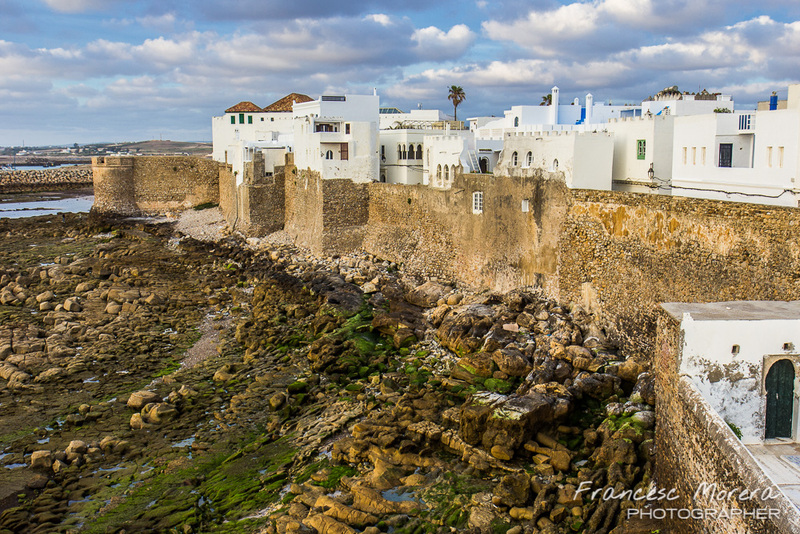 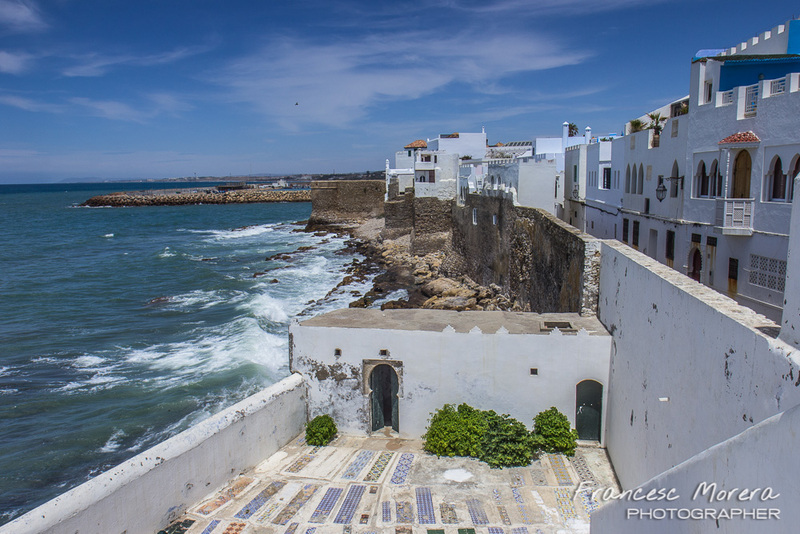 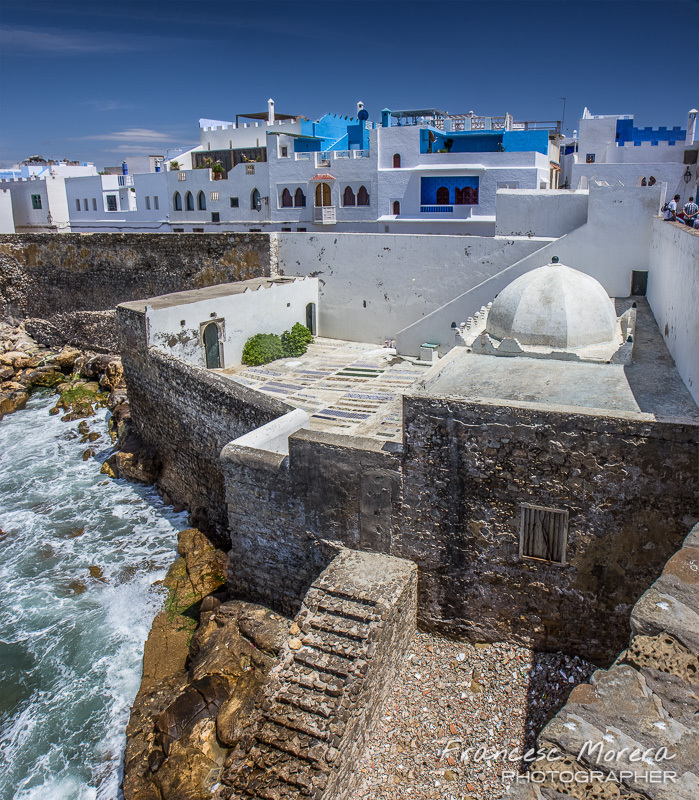 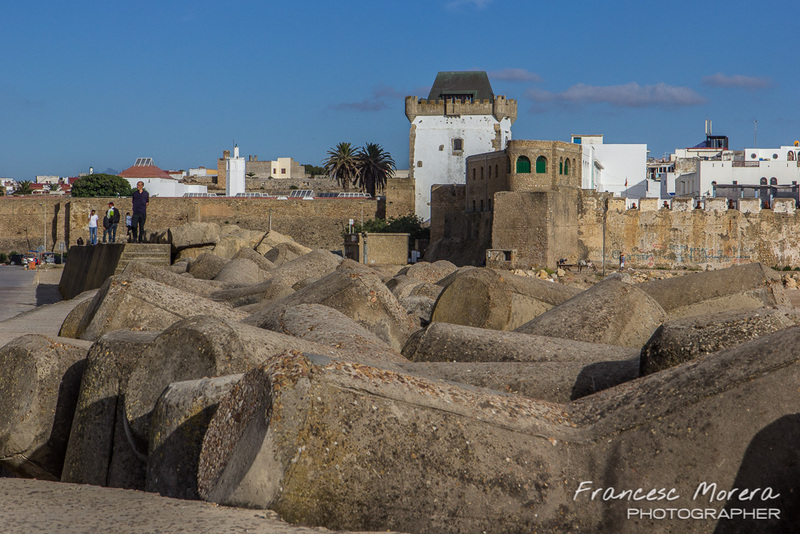 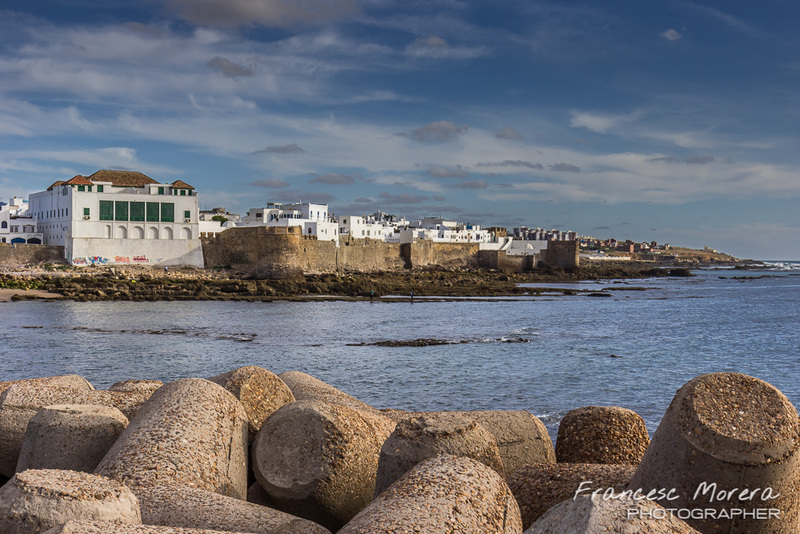 On the access stairs to this viewpoint, "gnawa" artists and other street musicians play typical instruments of the folklore in the area, while children, oblivious to all of it, dive again and again into the sea from the rocks, outside the walled enclosure. 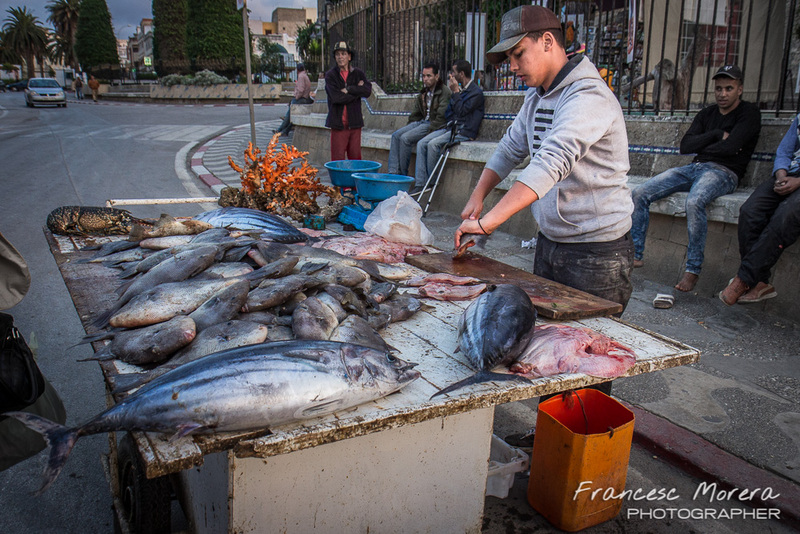 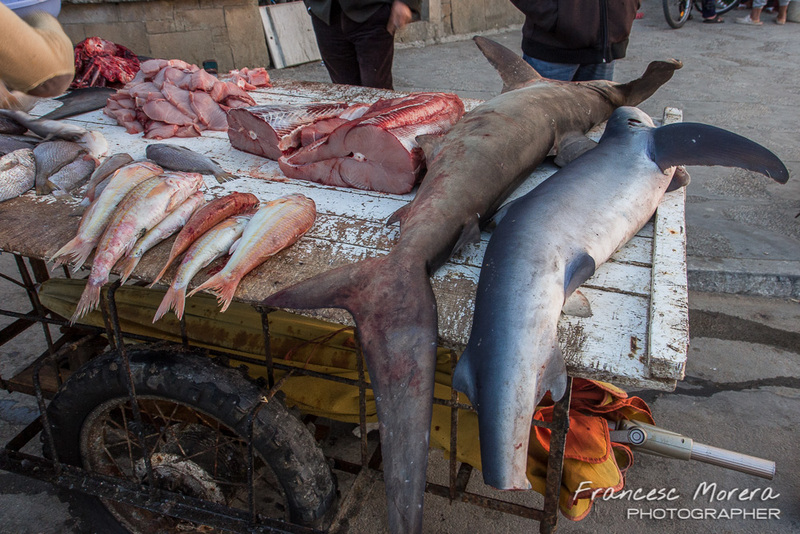 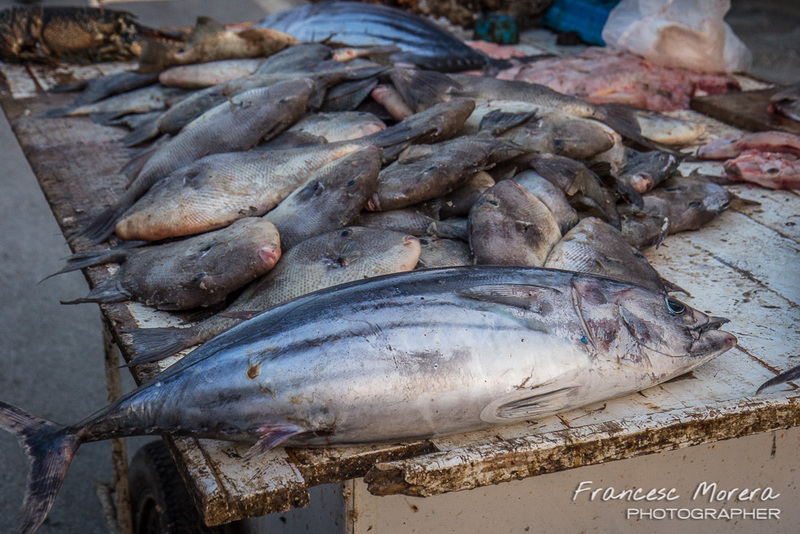 Assilah lives on tourism and fishing, although it is a trade that is in retreat, you can see as the boats arrive at port at sunset and how the catches are unloaded and then sold on the street. 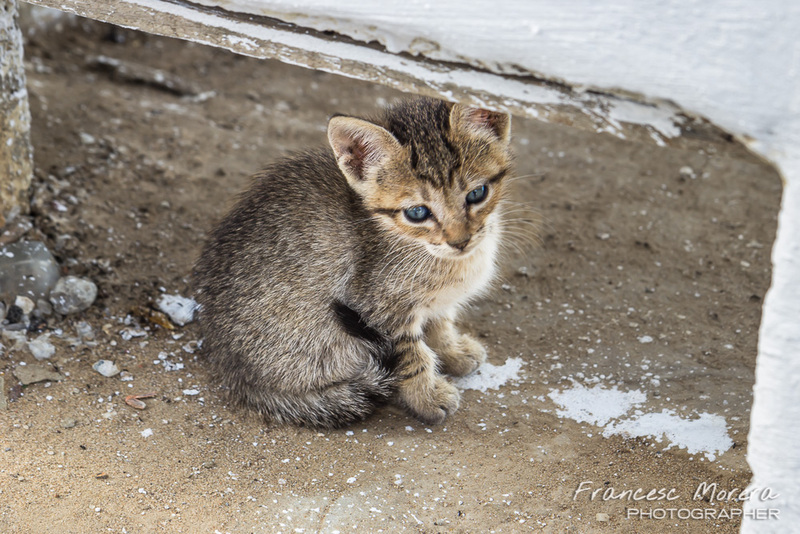 (See video).